So what is openlaws then? openlaws aims at opening access to existing legal information systems and proactively involving and integrating its target groups, i.e. 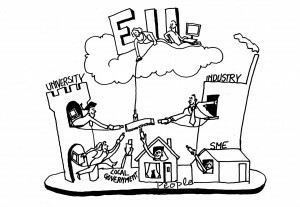 communities of individuals and businesses, legal professionals and public bodies. Open innovation, mass customization, big data analysis, social features and social networks are already highly successful in other markets and we want to introduce them in the legal domain on a European scale. Based on open data, open source software and open innovation principles the project adds a “social layer” to the existing “institutional layer” of legal information systems. Or to keep it simple: openlaws will help you find legal information more easily, organize it the way you want and share it with others. To create a clear BOLD Vision 2020 about what Big Open Legal Data (BOLD) could do in the year 2020 and propose a roadmap to the European Commission / DG Justice to implement it. To build a BOLD ICT Platform, based on open source software, which will be the first step to combine legal content and the knowledge and feedback of the community. The endeavour will help Europe to innovate in the legal field, provide better access for individuals, businesses, legal experts and public bodies, and create a network between them. openlaws is in line with the European e-Justice Action Plan and the Europe 2020 growth strategy, including the Digital Agenda and the Innovative Union. However, following an open innovation approach, other institutions and individuals are invited to join the openlaws initiative and to contribute to this “social layer” for legal information. Legal texts are basic information of all democratic states. As such legal information must be accessible to all members of society to the widest possible extent, to aid inclusiveness and to enable participation in public decision-making. In recognition of this, the EU and its Member States work to make laws, court decisions, etc, publicly available on line. Much has been achieved locally already. However, the sheer mass of legal norms, instruments and interpretations in courts decisions, commentaries and other sources, makes it increasingly difficult for citizens, civil society, businesses and all involved in legal practices to locate the relevant law. The challenge for the future is to link local legal information and have in place structures to enrich it through aggregation and mass customization. The technological possibilities to achieve this are there. 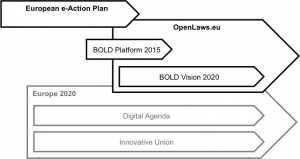 Openlaws.eu aims to initiate a platform and develop a vision for Big Open Legal Data (BOLD): an open framework for legislation, case law, and legal literature from across Europe. This contributes to better access to legal information and ultimately to better governance, both of which support higher social welfare goals. Today, a huge amount of legal information remains published and administered by a limited number of organizations, typically in closed structures in public authorities and public-private partnerships. This includes the management of legal metadata, which is the basis for automated processing. Legal scholars and practitioners publish mainly through traditional, highly specialized, commercial publishing or isolated websites. Back-channels are limited, and there is little space for contributions from wider communities. Fully automated processing of legal data is not yet possible. Strikingly, whereas in many domains such as statistics, spatial information, and life sciences research data, open information infrastructures are rapidly developing, this is not the case for legal information. This project’s aim is to help build and promote an open ICT environment (using existing tools and sources, like EUR-Lex, the European e-Justice System, e-Codex, national databases, etc.) so that all stakeholders can benefit from it (e.g. additional metadata, data curation, etc.). 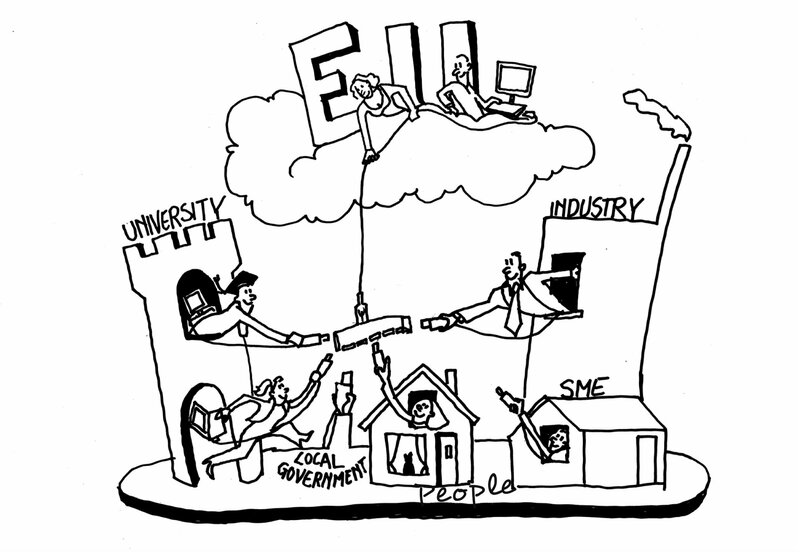 Individuals and Businesses: 500 million EU citizens and 21 million businesses are all affected by laws. Their interests: laws made more accessible and understandable, e.g. through mass-customization. Legal experts: 500 thousand expert legal practitioners have to deal with an ever-increasing amount of legal information, emanating from the EU, national, regional and sectoral sources. Their interests: better access to legal information from the EU and its Member States, leading to more productivity and more harmonization. Public bodies: 27+ EU Member States with 23+ official languages have to manage, interpret and disseminate legal texts. Their interests: Economies of scale and affordable powerful ICT solutions, enabling interactivity and integration. We will do a comparative analysis of law, society and institutional developments towards the open access model, past developments and prognosis for the future. We will perform a socio-economic and technical analysis in order to propose a framework where different stakeholders can cooperate in an open access environment. We will develop and launch the BOLD ICT Platform for desktops, tablets and smartphones with open interfaces, interlinking open data (selected Member States and EU level), and add personalization and social web features to it, like highlighting, tagging, commenting, rating, sharing, publishing, etc. We will engage the community so that they contribute to OpenLaws.eu and the BOLD ICT Platform by building social networks, sharing legal content, creating new content and metadata, etc. and we will disseminate our findings at conferences, in meetings, in scientific papers and in social media campaigns, and organize events in various EU Member States to raise awareness. In the first phase, the core team will integrate databases from the EU, the UK, the Netherlands and from Austria. It will be possible to connect also databases from other countries via open interfaces (APIs). If you have a suggestion for a database that should be included, please contact us. Of course, it would be great if you could help us with the integration of such database! Mass customization will make it possible to define individual bookmarks, folders, create highlights, tags, comments, and alert functions, and share this with others. A legal meta-search across multiple databases will make it possible to search in different databases at the same time, also cross-border. The quantity of publicly available legal information can be increased. More legal metadata will help structure the content and will enable big data analysis. Open access publication (in combination with quality control mechanisms) will enable experts to easily publish comments, full papers, or translations – which would have been too complicated to do in the past – increasing their visibility and reputation (similar to Google Scholar or Microsoft Academic Search). The quality of legal information can be increased. By involving the legal expert community, metadata can not only be generated, but also curated. Ambiguities can be presented to the community for correction. The quality of papers can be increased through review processes. The legal network within and between the target groups will help find experts and exchange information and best practices. Input from individuals and businesses in law-making, the analysis of case law (#goodlaw) promises a better knowledge and understanding of law, more direct democracy, and better policy-making. The openlaws core team members are an interdisciplinary group of universities and SMEs from leading e-government member states. The University of Amsterdam and the University of Sussex are specialized in legal informatics, comparative law and governance. The London School of Economics and Political Science will cover the socio-economic part, while the Salzburg University of Applied Science will provide the system architecture. The Italian software SME Alpenite srl and the Austrian BY WASS GmbH, who are building the Austrian mobile legal information system together, will be in charge of the implementation, the dissemination and the user community engagement. The Leibniz Center for Law of the University of Amsterdam develops intelligent technology to support legal practice both in the private and in the public sector. UVA’s Institute for Information Law has a wealth of experience in independent research into key regulatory areas of the information society, ranging from electronic communications, data protection, and intellectual property to fundamental communication freedoms. Combining law and ICT, and having participated in and coordinated numerous national and European (applied) research projects, UVA has been chosen as the lead partner of openlaws. The University of Sussex will complement UVA with its expertise in exploring governance through the perspective of citizenship and constitutions and reflection upon comparative legal systems and designs. The London School of Economics will focus in depth on socio-economic analysis, visions, and strategies, building a bridge between societal demands, governance, and new media and new technology. The Italian Alpenite srl will implement the initial BOLD ICT Platform. Alpenite was selected because of its practical experience with open source software and open data, and because it has already created an ICT framework for the Austrian mobile legal information system. The Salzburg University of Applied Sciences has a strong focus on software engineering, systems engineering and network technologies and will be responsible for the architecture of the BOLD ICT Platform. The Austrian BY WASS GmbH is the initiator of the Austrian RIS:App project and the openlaws project. BY WASS has expertise in information law, legal informatics, open data and open innovation management and will be responsible for the broad dissemination of the project. Why should you contact us?